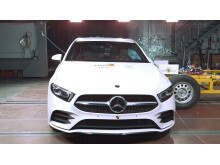 The Mercedes A-Class is one of the safest and most technologically advanced small family cars ever, according to expert judges who have given it the What Car? Safety Award 2019. 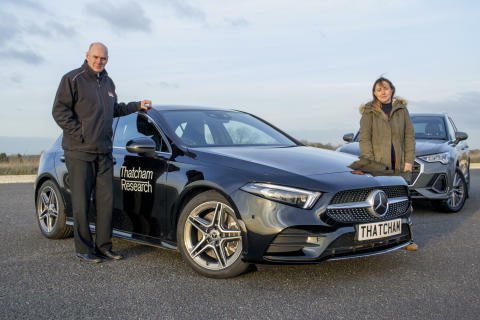 The Thatcham Research sponsored accolade was awarded to the Mercedes A-Class for its excellent performance across all judging categories. 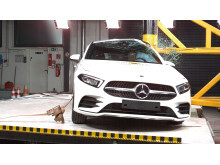 It was the only car launched in 2018 to reach an overall Euro NCAP score of 90%, for both the protection it offers in the event of a crash and its crash avoidance technology. Its Driving Assistant Plus package, which combines adaptive cruise control, lane centering, speed limit recognition and guided lane change functions, was also highlighted by Safety Award judges as one of the best available on the market. 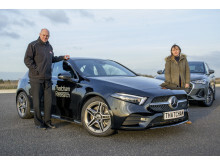 That the Mercedes A-Class is an increasingly familiar sight on UK roads, ensuring it can make a real impact on safety, was also a major consideration for the judges. 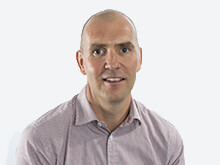 Steve Huntingford, editor, What Car? adds, "The annual What Car? Car of the Year Awards cover every type of car, but safety is the one category that's relevant to everyone. It's therefore particularly exciting to see this award won by a model that millions of British motorists can afford." 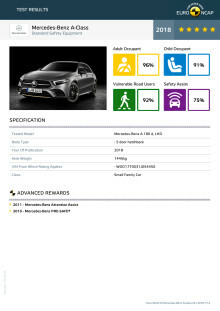 An additional Driving Assistant Plus package is also available with the Mercedes Benz A-Class. It helps keep the car in the centre of a lane and accelerates and brakes automatically to maintain a safe distance to the vehicle in front. 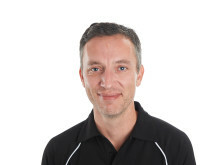 Avery comments, “We have raised concerns around the potential for driver over-reliance on some of these systems, however this is one of the best on the market. It’s intuitive and easy to use, working quietly in the background to support the driver, without taking too much ownership away. Its ability to identify roundabouts and junctions and slow the car accordingly is also impressive, along with its Active Lane Changing function. Crucially, the system doesn’t disengage should the driver need to take over the steering, continuing to aid in the driving task. 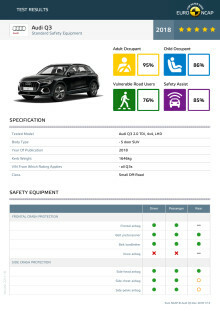 The second safest car of the year is the Audi Q3. 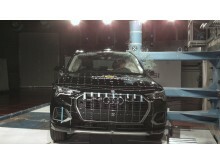 Representing one of the fastest growing sectors in the market, the small SUV, the Audi Q3 has the second highest overall Euro NCAP score (87%) of the cars tested in 2018. The Audi Q3 comes with Autonomous Emergency Braking systems that can detect pedestrians and cyclists, a Speed Assistance System and a Lane Assist System, with the latter scoring maximum points in testing. Of course, there’s a Volvo! 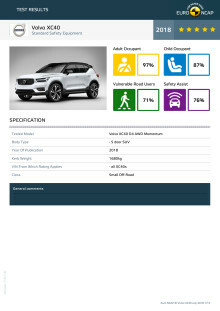 In third place was the Volvo XC40, which achieved the best Adult Occupant Protection score (97%) of any car tested in 2018. 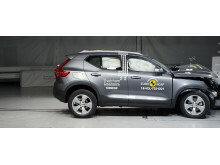 Avery continues, “It’s easy to take Volvo’s safety record for granted. 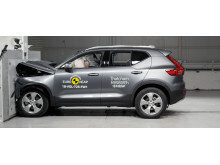 However, this is the first small SUV Volvo has produced and it not only delivers on safety but has also won several driver experience awards, including What Car? Car of the Year 2018. 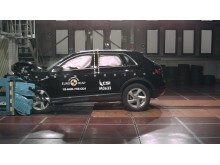 It scored maximum points in the side pole crash test, one of our most severe assessments. As a Volvo XC40 occupant, you are as safe as it’s possible to be in a car.